Was it really the spirit of President Lincoln? A recent Travel Channel program discussed the purported spirit photo taken by medium William Mumler sometime in 1871, showing what appears to be the spirit of Abraham Lincoln standing behind his widow Mary Lincoln, (below) his hands resting on her shoulders. There is a very vague image of a second spirit believed to be that of Tad, the Lincolns’ deceased son, standing to the left of his father. The concluding remarks of the television commentator were to the effect that Mumler was likely a fraud, superimposing a negative of Lincoln onto the negative of Mary’s sitting. As might be expected, Wikipedia and several other web sites fully support the television commentator in making Mumler out to be a fraud or trickster. Wikipedia calls upon Joe Nickell as an authority on the subject – a man not born until some 60 years after Mumler’s death. Nickell and others offer some hearsay “evidence” in support of Mumler being a trickster, no doubt about it. According to Sargent, most of the spirits in Mumler’s photos were vague and not always recognized by the sitter. Such imperfect photos led to the charges of fraud, but as anyone who has studied mediumship with an open mind knows, the quality of a phenomenon varies significantly and is usually due to the inability of the communicating spirit to effectively project his or her thought or image through the veil separating the earth vibration from the spirit world vibration, though at times it is due to the medium not being powerful enough support a spirit’s attempt to communicate or materialize. In the materialization phenomenon, there were a few who could project near perfect likenesses of themselves into the ectoplasm produced by the medium and many others who failed badly, sometimes looking more like mannequins or carnival dolls than real people. Many could not materialize at all. It follows that in spirit photography some would be of good quality and others of poor quality, probably most of poor quality. Sargent also reported that a photographer named Gurney followed Mumler step-by-step through the whole photographic and developing process and was likewise convinced that no trickery was involved. Dr. James Coates reported on a number of spirit photographers in his 1911 book, “Photographing the Invisible.” He recorded that other reputable photographers were called in to observe Mumler and expose him, but none of them detected fraud. He also mentions that Mr. P.V. Hickey of the New York World attempted to expose Mumler as a fraud and succeeded in having him prosecuted, since the photo he received was “a dim, indistinct outline of a ghostly face staring out of one corner.” Mumler identified it as the man’s father-in-law, but Hickey claimed it was neither his father-in-law nor anyone else he knew. One of many witnesses testifying on behalf of Mumler in the criminal action was John W. Edmonds, former chief justice of the New York State Supreme Court, who said he knew many people who had visited Mumler “with astonishing success in procuring spirit pictures of departed friends.” Also testifying for Mumler was C. F. Livermore, a prominent lawyer, who said that he saw two spirit figures on a photograph taken of him, one of which he recognized and the other which he did not recognize. Livermore had a number of other sittings with Mumler, some resulting in failures, some in shadowy backgrounds, but one which he clearly recognized. Based on the testimony of Edmonds, Livermore and others, Mumler was exonerated. 1. Did Mumler even know that Mary Lincoln was visiting Boston at the time? Could someone have tipped him off to Mrs. Lincoln’s intended visit from her home in Springfield, Illinois, so that he could have somehow acquired a negative of President Lincoln? 2. Can we assume that Mumler was truthful in saying he did not recognize Mary Lincoln? Mumler apparently photographed her seven years earlier when she visited Boston while still living in the White House. However, she understandably appears to have aged more than seven years and is more plump and homely in the 1971 photograph. It needs to be kept in mind that this was for the most part before photo journalism and we cannot assume that people were reminded daily of what a president’s wife looked like, as we are today by newspapers and television. 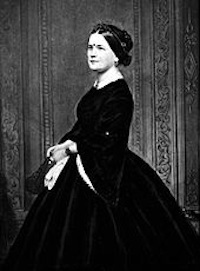 Portrait photography did not become popular until the 1850s and only a few portraits of Mary Lincoln existed at the time. 3. Did Mumler have a negative of Abraham Lincoln available to superimpose on the negative with Mary Lincoln? If so, where did he get it? This was at a time when such negatives and photos were likely not readily available. Should we assume that Mumler kept stock negatives and photos of many famous people in case relatives showed up for photographs? It was reported that Mumler did not do his own developing at the time and Mary Lincoln returned three days later to pick up the photograph, certainly enough time for Mumler to have somehow come up with an image of the sixteenth president. One must wonder why he did his own developing for William Guay and Gurney, but sent the plates out for developing to an independent contractor with Mrs. Lincoln. Perhaps his business had picked up so much by 1971 that it was more profitable to have others do the developing and printing for him, giving him time for more portraits. Wallace still was unable to identify the swordsman in the first photo, but the second photo, while somewhat indistinct, also appeared to be his mother. He showed the two photos to his sister and she agreed. “How these two figures, with these special peculiarities of a person totally unknown to [the photographer] could appear on his plates, I should be glad to have explained,” Wallace wrote. “Even if he had by some means obtained possession of all the photographs ever taken of my mother, they would not have been of the slightest use to him in the manufacture of these pictures. I see no escape from the conclusion that some spiritual being acquainted with my mother’s various aspects during life, produced these recognizable impressions on the plate. That she herself still lives and produced these figures may not be proved; but it is a more simple and natural explanation to think that she did so, than to suppose that we are surrounded by beings who carry out an elaborate series of impostures for no apparent purpose than to dupe us into a belief in a continued existence after death.” Wallace stressed that he was in the dark room when the plates were developed and saw the images take form. What can we believe? Can we even believe in evolution as advanced by Darwin and Wallace? Take a look at Keith Parson’s latest you-tube before answering that one. It can be found here. After reading my last blog post about the mediumship and psychical research of yesteryear and why I value it so highly, a friend suggested that I recommend books from that era. I started to make a list of my “Top 10” books before 1950 once before, but never quite finished it because I quickly realized that the books vary so much that I had to categorize them and come up with several lists. There are those that offer evidence, those that offer afterlife experiences and some that provide a combination of both. The most informative books are not always the most interesting books and the most interesting or entertaining book are not necessarily the most informative. As I started making my lists, I realized that there was much overlap in the categories and wasn’t sure which list a particular book belonged on. So I abandoned my attempt to come up with several lists. Recently, however, my wife and I were thinking about downsizing from a house to a condominium. It became obvious that storage in the condo would be a problem and that there would be no space for my thousand or more books. That got me to thinking if I had to get rid of all my old books, maybe keeping just 30 of them from before 1950, enough to fill two shelves, which ones I would keep. For what it’s worth, here is my list in order of preference. Many of these books are still available at such places as boofinder.com, and reproductions of several are available right here at White Crow, as indicated with an asterisk. 1. Glimpses of the Next State: The Education of an Agnostic, by William Usborne Moore (1911)* – Moore a retired British Navy admiral, explores the world of mediumship in both Great Britain and the United States, witnessing some of the best mediums of his time. He comes to understand why the non-believers don’t get it. 2. Forty Years of Psychic Research by Hamlin Garland (1936) – It’s really a toss-up between this book and Moore’s book for number one. Garland, a Pulitzer Prize winner, witnessed mediums of all types, physical and mental, and a combination of both, and presents it all in a manner that is quite convincing. 3. The Voices by William Usborne Moore (1913)* – This is a sequel to number one above, focusing on the direct-voice mediumship of Etta Wriedt, possibly the best medium on record. The person who can’t accept Moore’s accounts of Wriedt will never accept anything. 4. The Mystery of the Buried Crosses by Hamlin Garland (1939)* – A mind-boggling search, as directed by spirits through a medium, for artifacts buried in California by Indians. 5. Psychic Adventures in New York by Neville Whymant (1931)* – The author, a skeptical professor of linguistics who speaks 30 languages, communicates with spirits in 14 different languages, including Chinese. Short but powerful! 6. The Case of Patience Worth by Walter Franklin Prince (1927) – This is a comprehensive report on the investigation of medium Pearl Curran and the entity calling herself Patience Worth, who dictated many books, poems, and aphorisms through Curran. 7. On the Cosmic Relations by Henry Holt (1914) – Two volumes with 988 pages covering the early research of the Society for Psychical Research, including the American branch, with much focus on the research involving Leonora Piper and the research of Richard Hodgson. 8. Raymond or Life and Death by Sir Oliver Lodge (1916) – A distinguished physicist tells of his many contacts with his son Raymond, who died on the WWI battlefield, through several mediums. This was a best-seller in its day. 9. There is No Death by Florence Marryat (1891) – A renowned British author reports on her investigation of mediums, mostly physical mediums with many materializations of deceased loved ones. 10. Spiritualism by John Edmonds and George T. Dexter, M.D. (1853) – A New York Supreme Court judge and a physician investigate mediumship and become mediums themselves. Much wisdom comes from the spirits of Emanuel Swedenborg and Francis Bacon in two volumes and more than a thousand pages. 11. Life After Death: Problems of the Future Life and Its Nature, by James H. Hyslop, Ph.D., LL.D. (1918) – Professor Hyslop was probably the most knowledgeable psychical researcher ever. He discusses evidence and the obstacles to understanding and accepting the evidence. 12. The Spirits’ Book, by Allan Kardec (1857) – Much communication from the spirit world as to how things work on their side and how spirits interact with us. 13. Spirit Teachings, by William Stainton Moses (1883) and More Spirit Teachings (1892) – An Anglican priest reluctantly becomes a medium and gives us even more clues as to how things work on the Other Side. 14. The Widow’s Mite and Other Psychic Phenomena, by Isaac Funk (1904) – A famous publisher investigates mediumistic phenomena and turns up some startling evidence. 15. Dawn of the Awakened Mind, by John S. King, M.D. (1920) – A Canadian physician witnesses some amazing phenomena. 16. The Road to Immortality, by Geraldine Cummins (1932) – Frederic W. H. Myers, a pioneer of psychical research, communicates via automatic writing as to what he has experienced since his death in 1901. 17. Experiments in Psychical Science, by W. J. Crawford, D.Sc. (1919) – This book and three others by Crawford explain what physical mediumship is all about. 18. Science and a Future Life, by James H. Hyslop, Ph.D., LL.D. (1905) – Professor Hyslop’s first book tells of his earliest experiences in psychical research as well as those of Richard Hodgson. 19. Personality Survives Death, by Florence Barrett, M.D. (1937) – Sir William Barrett, one of the pioneers of psychical research communicates with his widow through the mediumship of Gladys Osborne Leonard, explaining the difficulties he has in communicating and what life on his side is like. 20. The Betty Book, by Stewart Edward White (1937) – Betty White tells of her development as a medium between 1919 and 1936 and takes excursions into the world of other-consciousness. 21. The Unobstructed Universe, by Stewart Edward White (1940) – Betty White transitions and begins communicating from the Other Side. 22. Thirty Years of Psychical Research, by Charles Richet, Ph.D. (1923) – A Nobel Prize winner reports on his investigation of various mediums, including Eusapia Paladino. 23. Letters from a Living Dead Man, by Elsa Barker (1915)* – A deceased California judge reports on his new life on the Other Side. 24. On the Edge of the Etheric, by Arthur Findlay (1931) – A British businessman investigates mediumship and discovers the key to what awaits all after physical death. 25. From Matter to Spirit: The Result of Ten Years’ Experience in Spirit Manifestations by Sophia Elizabeth De Morgan (1863) – The author and her husband, Augustus De Morgan, a world famous mathematician and logician, report on their investigation of mediumship and other psychic phenomena. 26. The Book on Mediums, by Allan Kardec (1874) – Kardec provides much detail on how mediumship works. 27. Experimental Investigation of the Spirit Manifestations, by Robert Hare (1855) – A University of Pennsylvania chemistry professor sets out to debunk mediums, only to discover many genuine mediums and become a medium himself. 28. 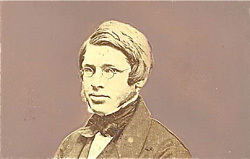 Perspectives in Psychical Research, by Alfred Russel Wallace (1875) – Wallace, co-originator with Charles Darwin of the natural selection theory of evolution, investigates mediumship and discovers it is real. 29. Towards the Stars, by H. Dennis Bradley (1924) – A popular British playwright investigates mediums and communicates with his deceased sister and many others. 30. The Boy Who Saw True, by Cyril Scott (1953) – This one exceeds the 1950 cutoff date by three years, but it is close enough that I have to list it, since it is the most entertaining of them all. All that said, we decided against downsizing for now and so I get to keep all my books.